Orifice meters are one of the oldest and most trusted meters in use in flow measurement. Like any differential meter, the orifice meter uses calculations based on the Bernoulli Principle. The Bernoulli Principle states that there is a relationship between the pressure in the pipe and the velocity of the flowing fluid. 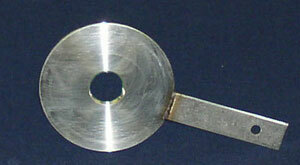 The orifice plate provides a restriction in the flowing area that causes the fluid to accelerate. This acceleration can be measured by measuring the pressure drop across the orifice plate. 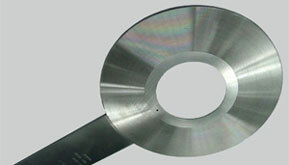 There are several important components of an orifice metering system. The actual meter is not just the orifice plate, but includes the upstream and downstream lengths as well as any taps, thermowells, and flow conditioners. Other components in an orifice measurement system include pressure and differential sensors (transducers), RTDs, and flow computers. All components of an orifice system must be evaluated when evaluating the system. Major benefits to using orifice meters include: price of the metering system, reliability, repeatability, and the common acceptance of the technology. CEESI has been instrumental in the research and development of orifice meters. Due to the amount of data available on orifice meters, there is not a need to flow calibrate each individual meter, provided the metering system is in compliance with applicable industry standards. The uncertainty associated with using an orifice meter in compliance with a standard is on the order of 0.5 – 1%. Reduced uncertainties may be obtained by calibrating the actual meter run and/or system. To estimate the uncertainty of an orifice metering station, the Bureau of Land Management has developed an Uncertainty Calculator. CEESI has provided industry support for all of these standards including work on the Discharge Coefficient and Expansion Factor equations, and maintaining the plates and piping setups used for this testing. Request a quote or contact us if you have questions about orifice meter calibrations. Throughout the year, we offer several training courses and workshops that specifically address turbine meters. Check out our list of events for flow courses that would be convenient for you or your organization. We have invested considerable resources into creating the Flow Measurement Technical Library so that could be a useful resource to the flow measurement community. There are free downloadable papers and abstracts from a variety of organizations relating to orifice meters. This library contains over 68,000 documents from organizations including NIST, ISHM, AGA, ISFFM, ASGMT, FLOMEKO, MSC, AGMSC, WGMSC, ASME, NEL, and others. Search the Measurement Library for papers on orifice meters.